2. To Find ages of employees. 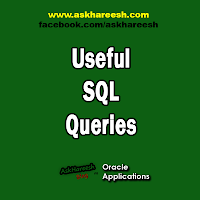 Sql>select eno, ename, months_between (sysdate, DOB)/12 from EMP. 3. To find recently hired employee. Sql>select eno, ename, doj from EMP where doj= (select max (doj) from EMP). 4. To place * at recently hired employee. 5. To find out maximum package offered employee. 6. To find only repeated duplicate records. 7. To find employee information joined in a particular month. 8. Display last 3 salaries? 11. To display emp names along with manager names. Sql>select e.ename, m.ename MGR from EMP e, EMP m where e.mgr=m.empno.